Hailey Baldwin denies any trust issues with Justin Bieber! 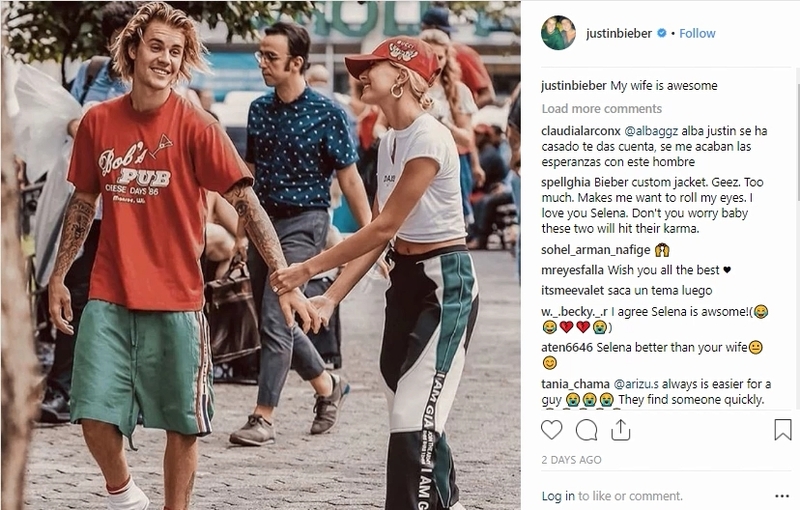 Hollywood’s powerful couple Justin Bieber and Hailey Baldwin, who got married in a hush hush ceremony last year in September 2018, were supposed to say ‘I do’ to each other in a traditional Christian ceremony in the presence of close family and friends. Well, it looks like that the wedding is clearly not on the agenda as Justin has been ‘struggling a lot’ lately and seeking help to fight depression. Among all this, conjectures were widespread that the couple have been having “trust issues”. But, Hailey on Monday night took a dig at reports which indicated that the couple were facing a hard time. Taking to Instagram, Hailey wrote on her story, “Don’t believe what ya read on the internet folks,” with the crying laughing emoji and the eye roll emoji. A “Fake News” GIF was also featured in the message.